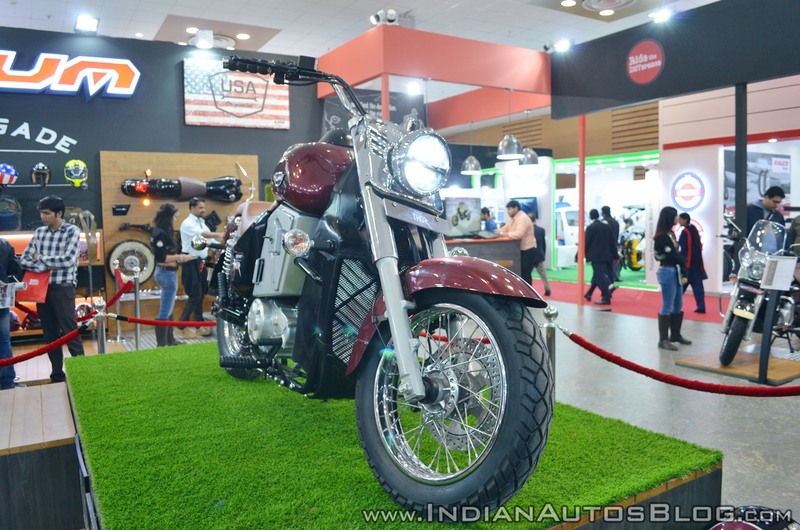 UM Lohia Two Wheelers has unveiled the world’s first geared electric cruiser, the UM Renegade Thor at the 2018 Auto Expo in Greater Noida. Here are the cruiser’s live images from the event. The UM Renegade Electric has a typical cruiser silhouette, with a chiselled tank and seat. The fat 41 mm telescopic front fork hold the 17-inch spoke wheels shod with a 120-section rubber. The rear 15 inch spoke wheel wears a meatier 150-section rubber to handle the torque. Speaking of which, the liquid-cooled electric motor with controller produces 70 Nm. Peak power of 40.7 PS comes in at 8,000 rpm. The motor pairs with a 5-speed transmission with hydraulic clutch. A belt drive sends the power to the wheel. The UM Renegade Thor draws power from a high-power lithium polymer battery. There are three battery capacities- 27 kWh (range up to 270 km); 15 kWh (up to 149 km); 7.5kWh (up to 81 km). The built-in board charger and fast charger are compatible with level 1,2 and 3 electric car chargers. With the fast charger, it takes 40 minutes to reach 80%. With Level 2 Charger for the 7.5 kWh, it takes 2 hours; and for the 15 kWh battery, it takes 4 hours. The 27 kWh battery takes 7 hours to charge. The motorcycle comes to a halt using 280 mm front and a 240 mm rear disc. The front unit comes with Brembo master cylinder. The brakes feature dual-channel ABS as well. 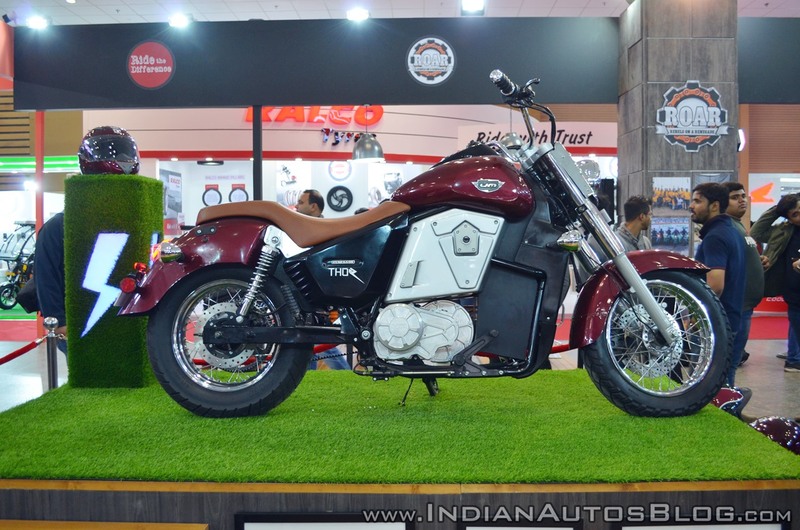 Pricing for the UM Renegade Thor starts at INR 4.9 lakh, ex-showroom.